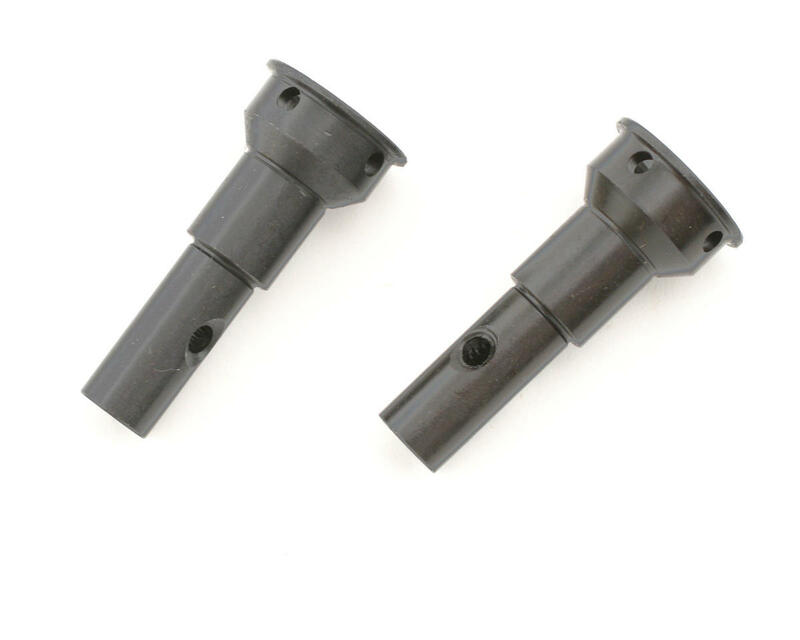 This is a set of two replacement front CVA axles from Team Associated. These axles attach to the CVA shaft, to provide drive for the wheels. 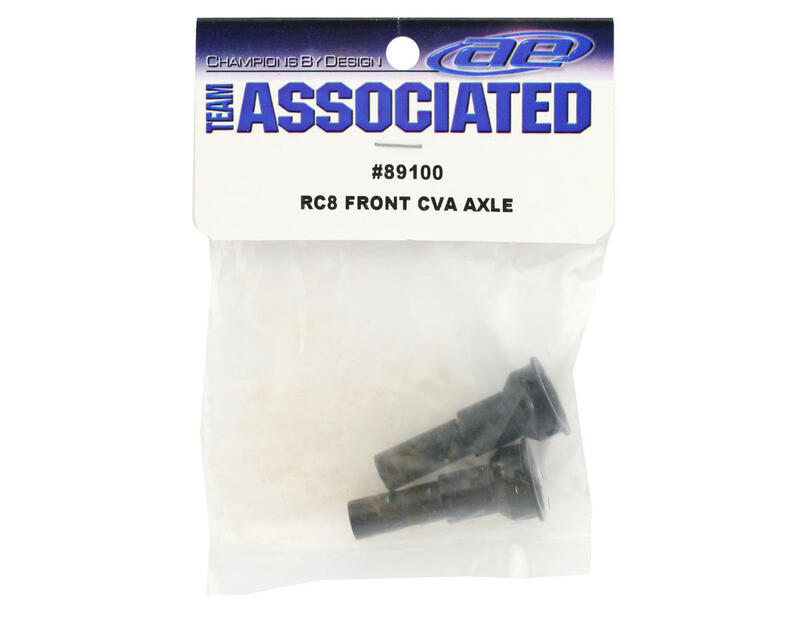 I replaced the aluminum cv axle on my RC8.2e with these. Maybe a little heavier, but don't think that matters much on e-buggy. Best thing with these over the aluminum version is that these use a 5x4mm set screw to secure the wheel hex pin instead of a cap head screw. Twice I had cap head screws break off in the aluminum ones which is a nightmare to remove. You can use a set screw in the aluminum ones, but it's the threads are smaller, so it's driven by a 1.5mm hex vs the big set screw in the steel ones which you drive with a 2.5mm hex. Overall, I like these much better then the aluminum ones.